NO IMPACT FEES! 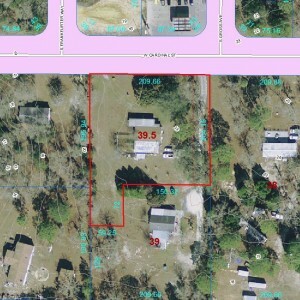 1.25 Acres conveniently located on W. Cardinal St. Mobile home recently removed. Mobile Home slab, well and septic onsite. Built-in storm shelter included. Directions: US HWY 19 S -Turn left onto W Cardinal St (Walmart intersection)proceed approx. 1 mile to lot on right. Directly across from Lil Champ Store.